In terms of mechanical complexity, dryers are relatively simple appliances. If properly maintained, vented, and cared for, most dryers will operate in a trouble-free manner for many years. 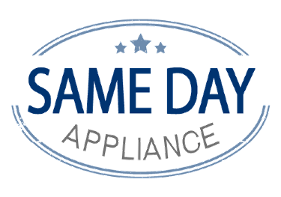 However, if your dryer isn’t operating correctly and won’t get your textiles or laundry dry, contact Same Day Appliance Services and ask about our dryer repairs in Arlington. Without a working dryer, many homemakers would be forced to dry their clothes outside. This process takes additional labor and time, especially when compared to the convenience of a working clothes dryer. So if you’ve noticed that your dryer is broken, damaged, or won’t produce warm air, contact us today for fast dryer repairs in Arlington, Alexandria, other nearby communities. 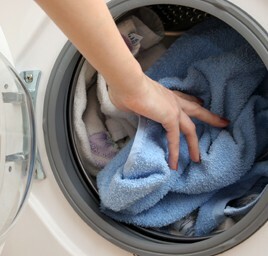 If you own malfunctioning stack dryers in Arlington, then contact us for any needed repairs. We have extensive knowledge repairing a wide variety of different brand name and style stack dryers. In Arlington, we’ll even provide military personnel and elderly citizens with special discounts and rates. A single dryer unit is one of the most popular types of dryers. A single in Arlington is a standalone dryer that is not attached to any other appliance. A single in Arlington is very simple to repair and due to the popularity of this style of dryer, finding parts for replacement is also relatively simple. A combo washer and dryer in Arlington is ideal for those for whom space is at a premium. These highly efficient washer and dryer combo units are becoming more popular all the time. If you have a damaged combo washer and dryer in Arlington, contact us for repairs. Front loaders in Arlington are among the most efficient and desirable dryer units available to consumers. Front loaders are just as energy-efficient as the high efficiency models. As these types of dryers don’t agitate the clothing, it’s also assumed that front loaders can actually help preserve clothing. This is especially true when compared to other types of dryers. If you own damaged, broken, or malfunctioning front loaders in Arlington, contact us for any needed repairs. Same Day Appliance Services is ready to help you with all of your dryer repairs. In Arlington and in the surrounding communities, we provide special discounts and offers for military personnel and elderly citizens. Contact us today to have a qualified service professional handle your dryer repairs! We service all of Mclean, Tysons Corner, Great Falls, Vienna, Alexandria, Falls Church, Annandale, Burke, Oakton, Dunn Loring, Springfield, Woodbridge, Dumfries, Dale City, Fairfax, Centreville, Chantilly, Fairfax Station, Clifton, Lorton, Manassas Park, Manassas, Gainesville, Bristow, Haymarket, and Nokesville.